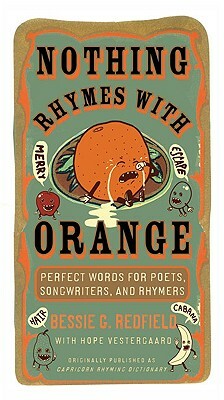 The irresistible rhymes you need, in a book that?s fun to read. An entertaining and browsable reference, Nothing Rhymes with Orange is to rhyme what Every Good Boy Deserves Fudge is to mnemonic devices. Revised and updated from the perennial seller Capricorn Rhyming Dictionary, this edition includes an introduction by children?s author Hope Vestergaard, as well as a phonetic spelling guide, a key to rhyming sounds that are spelled differently, fun sidebars, and a list of poetic terms. Hope Vestergaard is the author ofDriving Daddy; Wake Up, Mama! ; andseveral other picture books. She lives inAnn Arbor, Michigan.